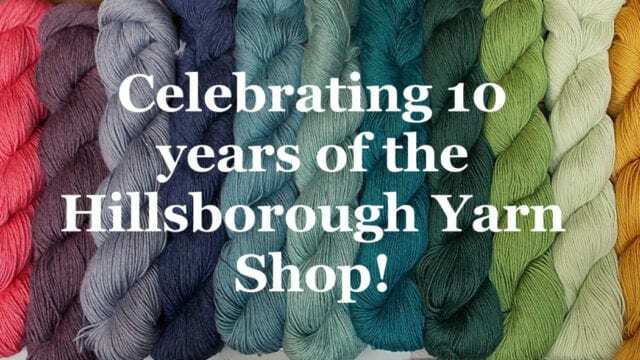 As you may remember from years past, or may have seen in our most recent email newsletter, this October marks the 10 year anniversary of the Hillsborough Yarn Shop. 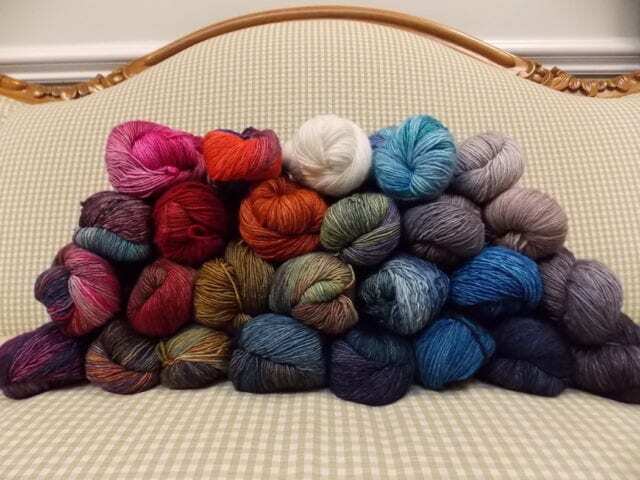 The shop has grown and changed since Anne first opened in 2006, but always with the goal of bringing the best natural fiber yarns, tools, publications, and classes to stitchers in the Triangle. By that measure, in my opinion, Anne has succeeded tremendously, and I am so proud to be on her team, spending my days in this special shop. We always celebrate our anniversary with a sale, and this year is no exception; from Friday, October 14th – Sunday, October 16th, everything in the shop will be 15% off, with the exception of classes and that which is already discounted. 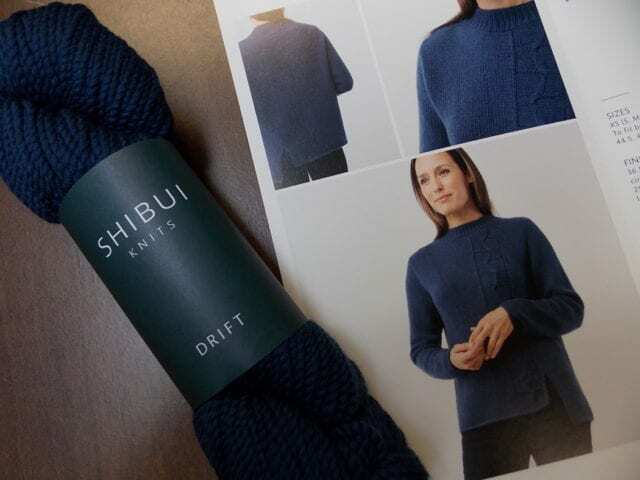 This is the time to treat yourself to some exciting new yarns, and save on that big project you’ve been wanting to start this fall. We’re doing something special this year, too, because an anniversary like this deserves a party. On Friday, October 14th, we’re having a party at the shop from 6:00 – 8:00 pm. Join us for food, drink, and the launch of an exciting new product we’ve been planning for just this happy occasion. We hope to see you Friday evening! We are so grateful to all of you for your support over the years, for shopping and learning and sharing with us. Come by the shop during the sale and let us thank you in person, in a tangible way! Thanks for your support and well wishes, Gwen! Looking forward to seeing you at the shop again soon.